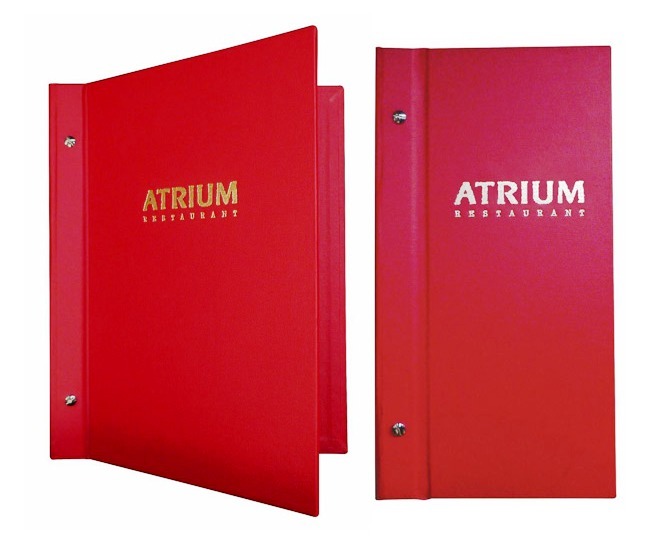 We also offer the screw style covers to be used as a compendium. (copy safe and in available in two weights). 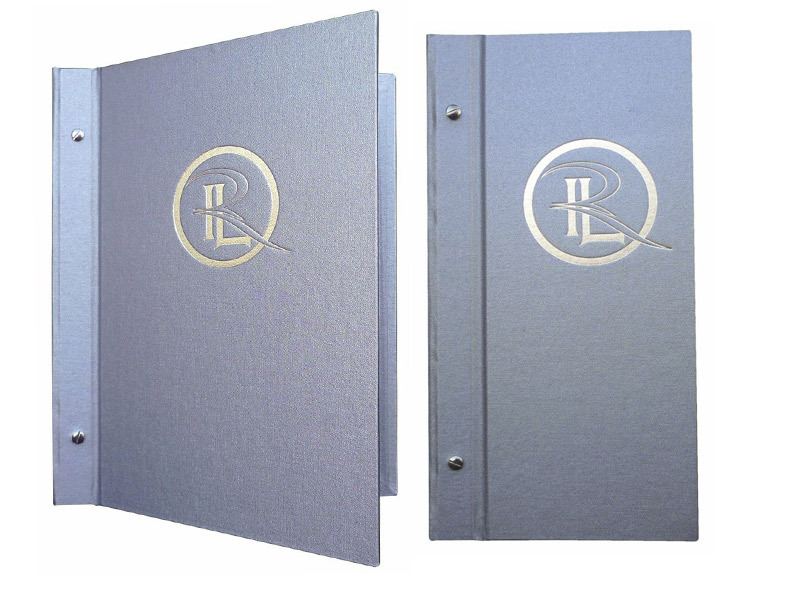 We can make the compendium external interscrew in any of our durable proven fabrics and this menu cover can be personalized with blocking, foiling or screen printing so you can have your logo on your new custom restaurant menu covers. We feel the main feature of this custom compendium is the use of interscrews they join the front and back cover the interscrew becomes a feature of the front cover. Please select below the size that best suits your needs. 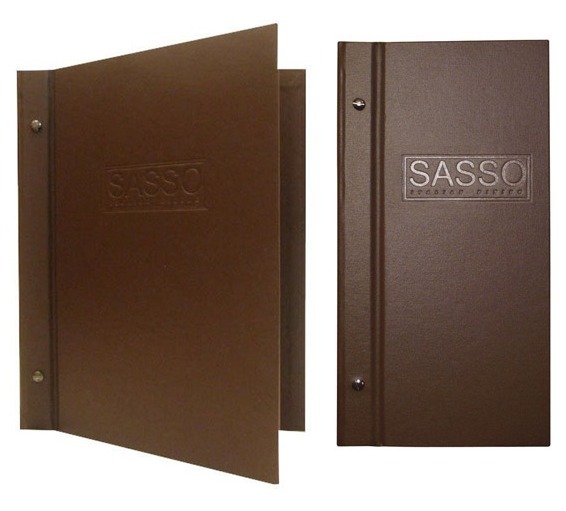 Do you want to add a pocket on the inside front cover? 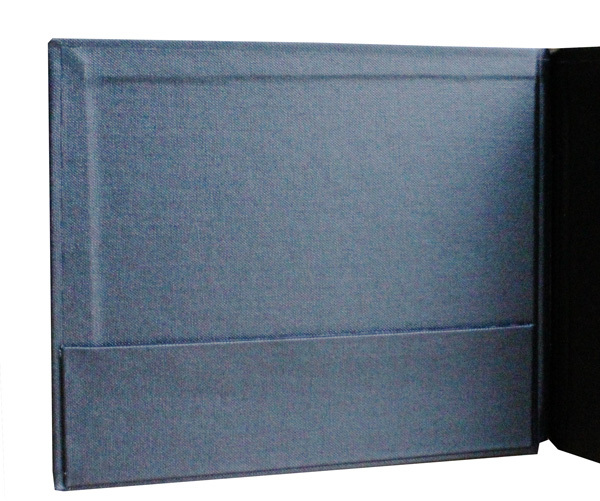 You can add a pocket on the inside front cover to hold leaflets and other useful information - You can sleect this option below. SKU: PBEXTCOMP. 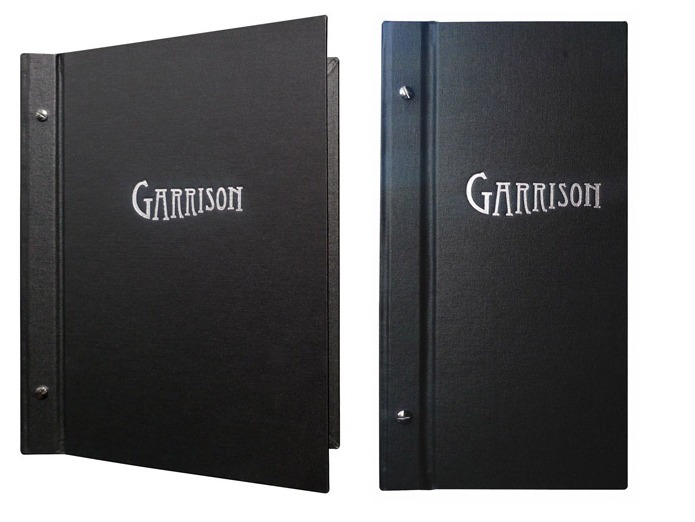 Category: Custom Compendiums. Tag: homepage.